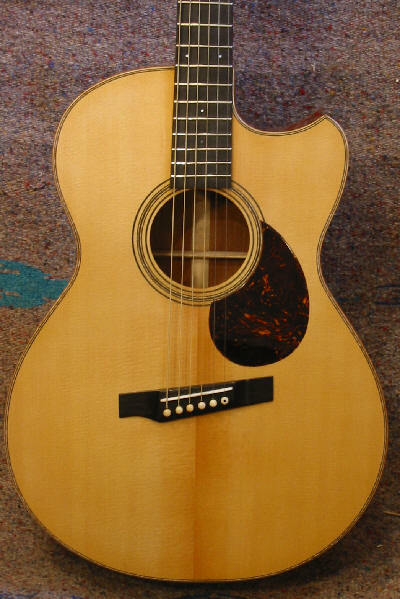 This is a Sexauer FT-15-JB. 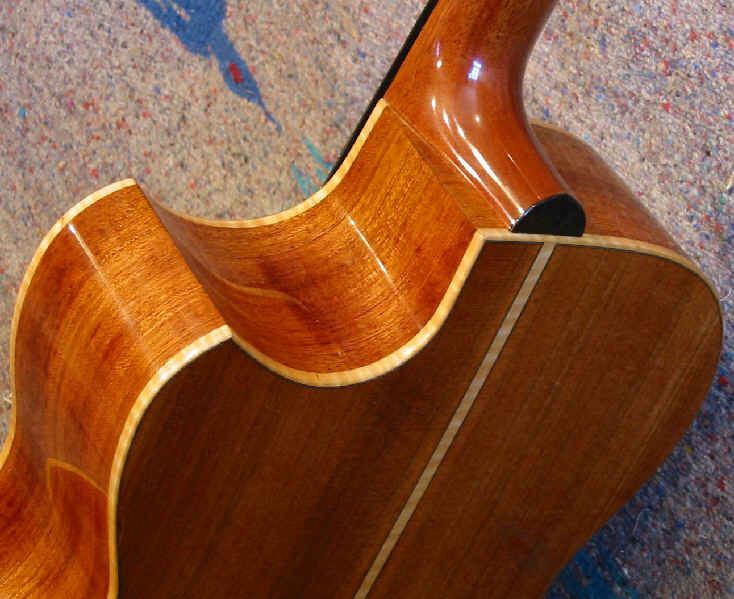 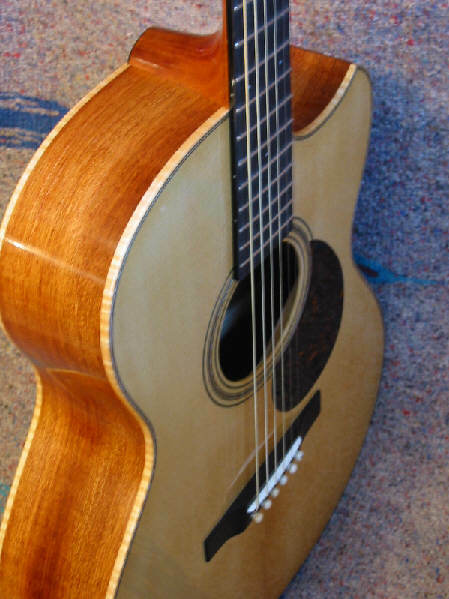 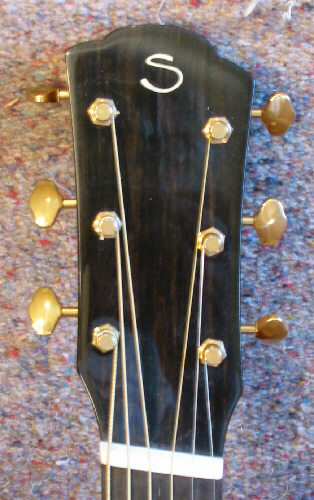 It is the 5th of 5 guitars made to show at the 2003 Healdsburg Guitar Festival. 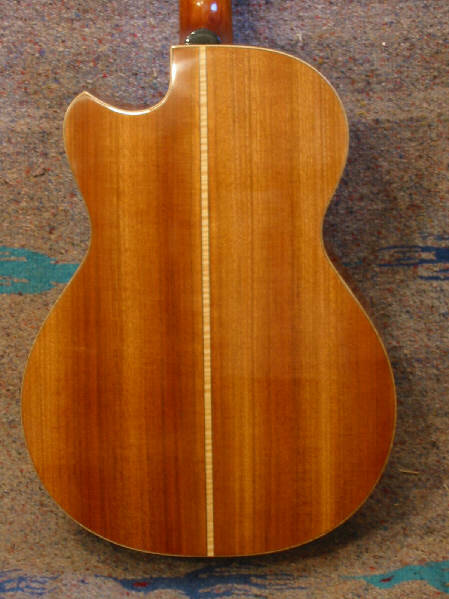 Construction is Jatoba (Brazilian Cherry) back and sides, European Spruce top, H. Mahogany neck, Maple binding, Ebony bound Ebony fingerboard, Ebony bridge, varnish finish, Gotoh vintage gold tuners, 24.9 x 25.4 fanfret.